ACL bearings are well-know manufacturer of high quailty conrod, main & camshaft bearings. Their superior quailty is recognised worldwide. The range of bearings is wide and there are three main materials. Aluminium Tin materials have been around since the 1960s. They have traditionally been the choice of Japanese and European manufacturers for low load, gas, passenger cars. As the loads developed by high horsepower late model engines increased, so too did the need for a stronger bearing material. Copper lead Trimetal bearings have been the answer for higher load applications and today make up ACL’s current range of Duraglide® and Race Series engine bearings, but as the world becomes more environmentally conscious, the need for lead free engine components has increased, without sacrificing the load carrying capacity required for modern engines. The addition of silicon as an alloying element to the Aluminium Tin family of bearing materials has elevated it to the next generation of performance materials. This is currently the choice of most Original Equipment (OE) manufacturers as the global mandate to have Lead free vehicles is enforced. In keeping with these global trends, ACL Bearing Company commenced a development program in the late 1990's to provide a high strength aluminium based lead free material that provided a suitable alternative to traditional bearing materials & to provide all customers with a solution to their tribological needs. The introduction of Aluglide™ bearings is another example of ACL’s commitment to understanding and adapting to customer requirements. ACL’s new Aluglide™ engine bearings combine the proven advantages of aluminium tin metals with silicon to make this the very latest generation high performance alloy and have met with global response which proves these Australian developed and made components are at the leading edge of a competitive international industry. 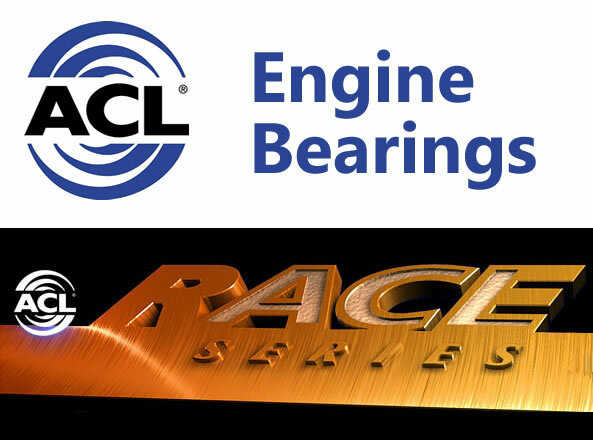 One of the largest ranges of automotive engine bearings in the world is produced by ACL Bearing Company, which is an approved supplier for original equipment bearings to all major vehicle manufacturers in Australia. This range covers all forms of internal combustion engines from small stationary petrol engines to large diesel applications. Plain and flanged bearings are manufactured in a number of material options, including ACL's Duraglide F780 heavy duty, trimetal copper-lead material, to suit every performance requirement.